The path to a career in welding takes training, experience and, for those seeking more lucrative job opportunities, certification. Receiving a diploma from an accredited trade school can prepare individuals for certain types of certifications, while others can be obtained once working in the field or for a welding company. Below are some of the welding certificates you may need to get depending upon the job and the company you work for. A student must show an understanding of the various welding processes and types of welds that are taught in a welding program. Receiving a diploma from a welding school school means that the student has finished and passed all tests associated with each course. Some welding schools, such as Tulsa Welding School, require students to pass a written test and to demonstrate specific welding skills prior to receiving a diploma. 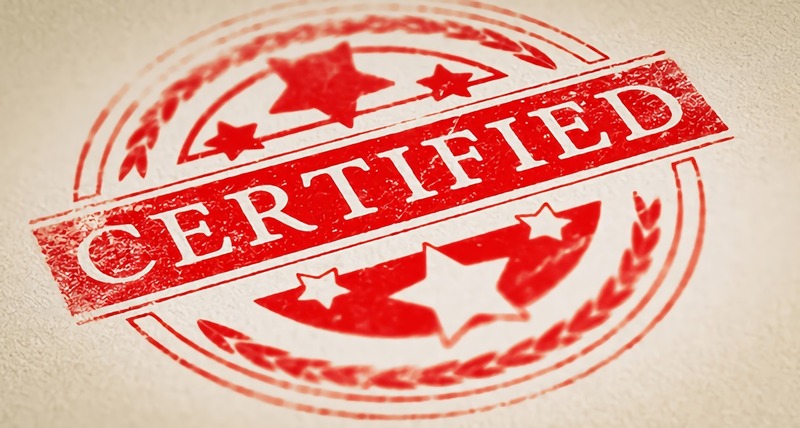 Common certifications include those from the American Welding Society, the American Society of Mechanical Engineers and the American Petroleum Institute. These certifications, endorsed by professional welding organizations, can lead to better job opportunities and pay. The American Welding Society (AWS) is one of the most highly recognized welding organizations in the country. They offer certifications for nine specific categories, including welding supervisors, educators, inspectors, radiographic interpreters, fabricators and engineers. The Certified Welder program is the most common one chosen by those who have recently received a welding diploma. Some schools, such as Tulsa Welding School, prepare students for the exam for this certification. The American Society of Mechanical Engineers (ASME) offers the certifications for products produced by companies and manufacturers. Welding companies often seek ASME’s Boiler and Pressure Vessel Certification (BPVC). The process involves preparing a quality assurance plan for the design, manufacture, and testing of all products and then having a third party inspect the company’s facilities to ensure that the plan is successfully being implemented. Products produced by welders with ASME certification are often stamped to show that they have been manufactured to meet industry standards, as well as many U.S., Canadian and national safety laws. The American Petroleum Institute (API) provides certifications that are necessary when a welder will be working with gas and oil piping. This is a specific certification and can be received in conjunction with other types of testing and certifications. Inspector and welding certifications are the most common types of certifications API offers that welders seek. Certifications can help a welder advance his or her career. However, the first step is often obtaining a welding diploma. Welding programs like the ones Tulsa Welding School offer teach individuals the skills they’ll be tested on during the AWS Certified Welder test and that they’ll need to enter the field. After gaining some experience, welders can seek additional certifications, such as those offered through the ASME and API.